This 13-15th June, Hydrosphere, the UK and Ireland’s leading supplier of aids to navigation, will be attending the Seawork 2017 Commercial Marine and Workboat Exhibition and Conference. Exhibiting for their 20th year at Seawork, Hydrosphere will be based at stand PY69 at Mayflower Park in Southampton, and will be representing world-leading manufacturers across the marine and maritime industry. Supplying navigation buoys and lights, data buoy platforms, mooring buoys and moorings and zone marking buoys, the company’s customer base includes all Lighthouse Authorities and most major ports and harbours, in addition to offshore oil and gas companies and renewable energy, the MOD and marinas, and aquaculture sites across the UK and Ireland. Seawork International is widely regarded as the industry’s one-stop shop, as this event provides buyers, legislators and influencers with direct access to the commercial marine and workboat market, and its innovations, products and people. 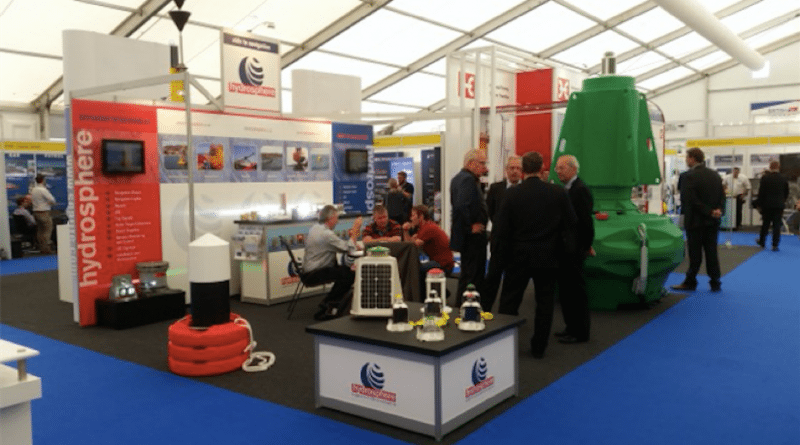 Attracting over 7,600 industry professionals, 10,000 products and services, and over 70 vessels, the team at Hydrosphere is pleased to be attending this year’s exhibition and conference, and showcasing its new buoys supplied to ABP Southampton, the FullOceans FLC-1800, in addition to displaying real time data from the Mobilis DB Planier buoy which is currently moored in Marseille. John Caskey, managing director at Hydrosphere commented “The exhibition at Seawork is one of the most iconic events within the marine and maritime industry, and we’ve thoroughly enjoyed exhibiting year after year. We’re excited to be a part of the exhibition’s 20th anniversary, and we hope that this year’s visitors will pay a visit to our stand and find out more about the latest aids to navigation and the technology that’s powering the industry”.